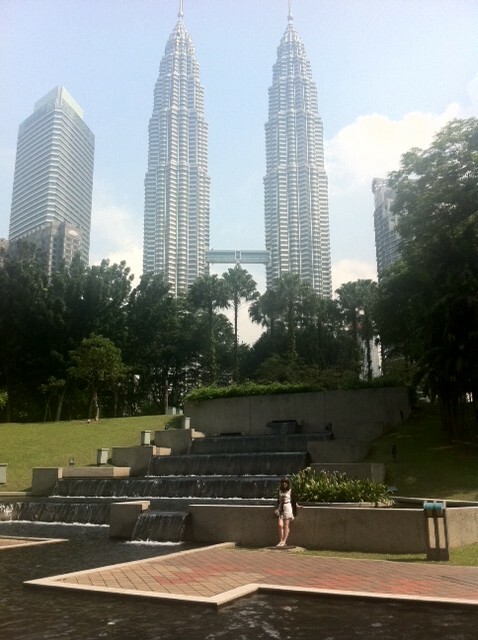 I didn’t have too many expectations of my brief stopover in Kuala Lumpur. It was just that – a convenient stopover on the way to our next destination. As KL International is such a major transport hub, it was almost impossible to avoid it on our way to Thailand and Vietnam. Plus, connecting there meant it was a lot cheaper than getting direct flights from Japan. I wasn’t too sure what to expect from Kuala Lumpur. In all honesty, because it wasn’t the main destination, I didn’t think too much about it when planning the trip and for that reason, it was such a lovely surprise to find myself in a bustling, buzzing, cosmopolitan city. In fact, out of the three countries I visited on my summer trip, Malaysia is the one that I wouldn’t think twice about making a return visit. A city of luxury, Kuala Lumpur has some of the cheapest 5-star hotels in the world and lots of them. We stayed in Traders Hotel which is home to the well-known “Sky Bar” which by day offers a rather chilly open-air pool for hotel guests and which opens to the public at night offering tasty cocktails and some of the best views of KL’s impressive skyline. Can you spot me? I felt even smaller than usual surrounded by such gargantuan skyscrapers! 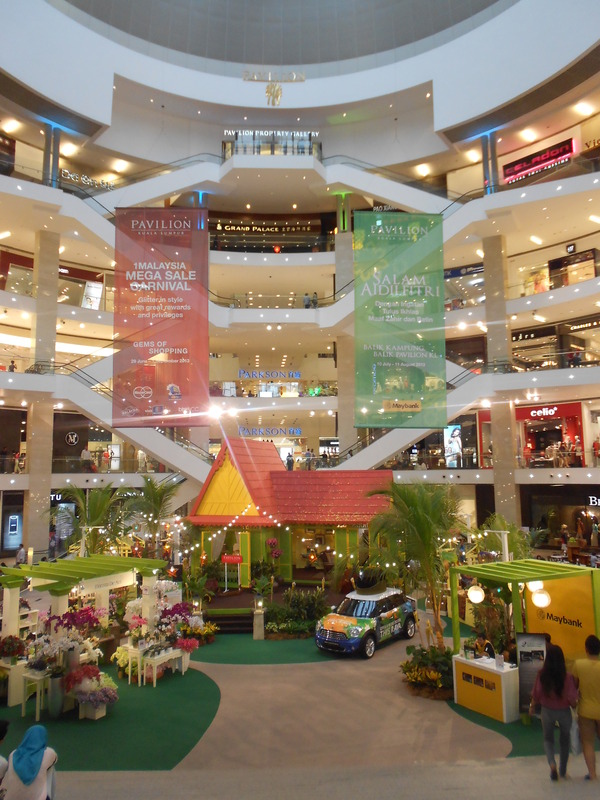 We spent the rest of our brief stay in KL browsing the many huge shopping malls and gorging on delicious Malaysian food. As Malaysia is a mish-mash of so many different cultures it has a very unique atmosphere and offers a whole host of cuisines. I even found some Irn-Bru! 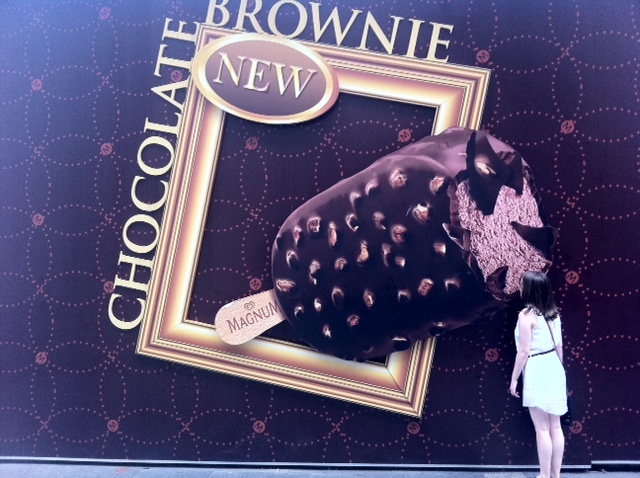 KL is also home to the biggest Magnums in the world. I could definitely head back to KL for a shopping trip! 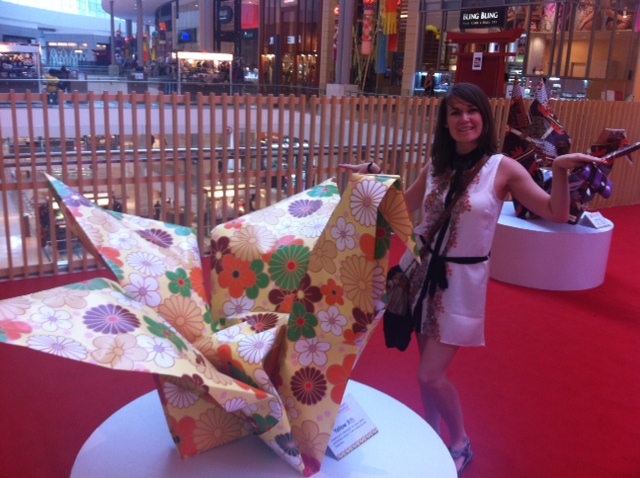 One mall even offered a taste of Japan with an origami exhibit with giant paper cranes. Excited for a night at the Sky Bar! A colourful water show just outside the hotel. 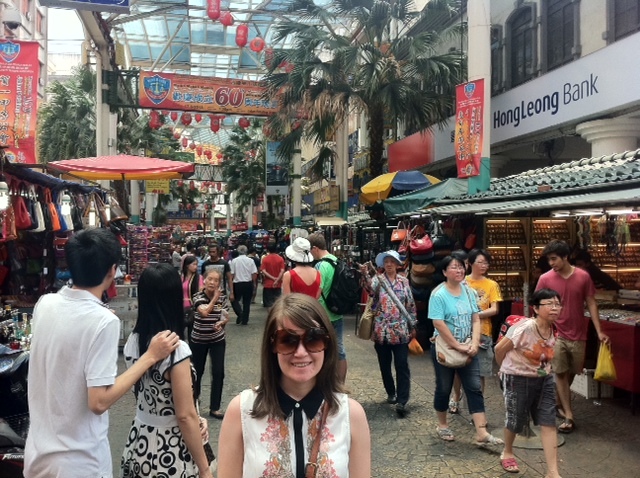 We also paid a visit to KL’s China Town which is home to a popular market selling all manner of fresh produce and knick-knacks. It was nice for a browse but we didn’t stay long as the temperature and humidity levels were rather brutal. 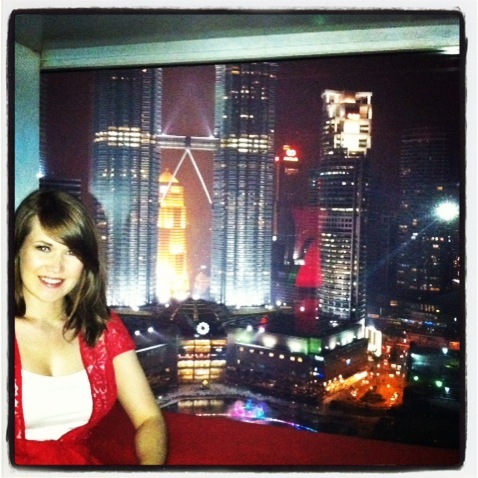 I really hope to go back to Kuala Lumpur. I think it’s an amazing city with so much to do and with friendly citizens, too. I think out of all the Asian cities I’ve been to, Kuala Lumpur is without a doubt the city that would be the easiest for me to live in. 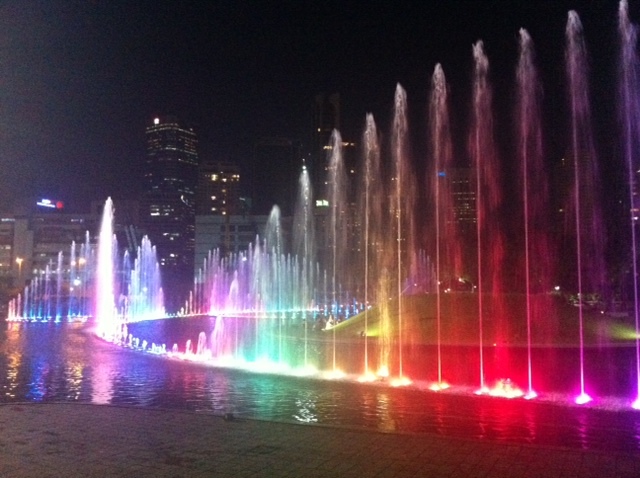 We only spent one night in KL, so we only scratched the surface of things to do and see. Who knows, maybe I’ll end up there one day on a more permanent basis?